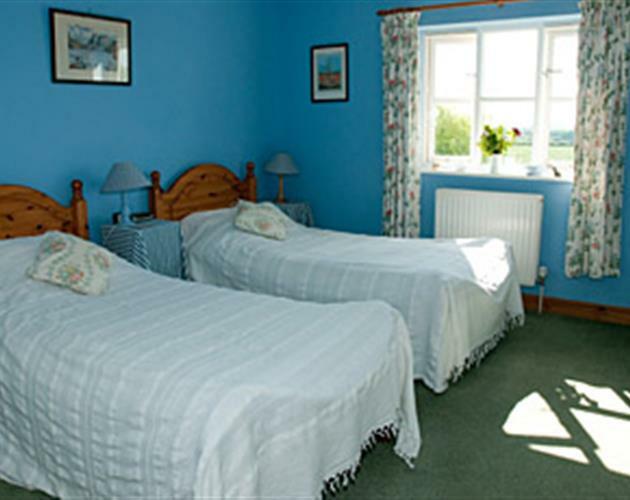 Hill Farm is a Farmhouse Bed and Breakfast set in the middle of our 450 acre working farm. 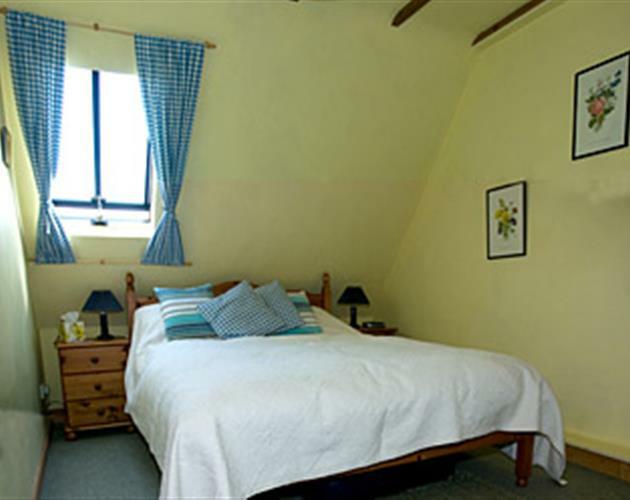 We offer three traditional bed and breakfast bedrooms, and also, an original 1800's Shepherds Hut" Hill Farm is friendly and peaceful with beautiful views of the hill behind it and westerly views from the other side. We welcome all guests whether they are on holiday, business, families wanting an "escape", walkers and cyclists, in fact anyone who wants to be in the countryside. We have a flock of breeding ewes (lambing in April), a small herd of suckler cows and corn. We are in the Countryside Stewardship Scheme, an environmental scheme, which means that all the fields have "grass margins", adding to the walks which our visitors can enjoy. 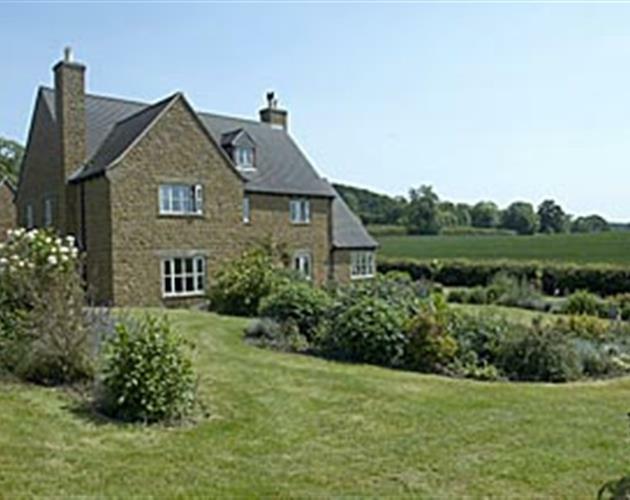 The farmhouse has wonderful westerly views, allowing the visitor to see the peaceful Warwickshire countryside at its best as the seasons change throughout the year; the house and garden are very much in the "country style", complete with hollyhocks around the front door! We can offer a truly restful "escape"! We have stabling available for your horse as well from April to the end of October. We have wonderful rides around the farm, a local "trail" is also available and numerous bridleways. You may also wish to simply use the stabling before competing locally. 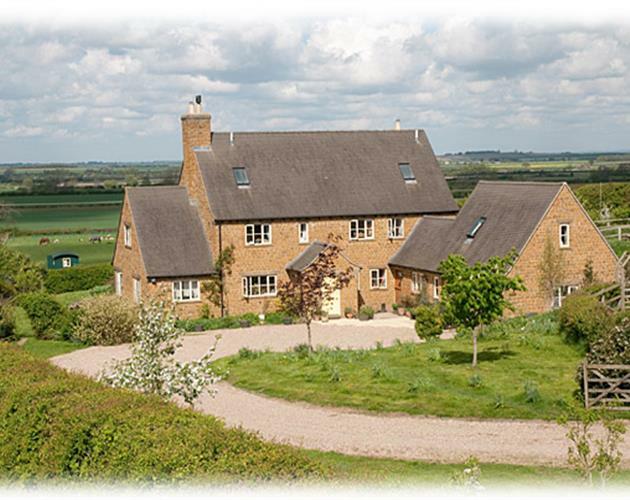 Hill Farm is set in the south easterly corner of Warwickshire bordering the counties of Oxfordshire and Northamptonshire, close to the village of Priors Hardwick, and is well situated for Banbury, Southam,Stratford on Avon, Daventry, Warwick, Leamington Spa and Rugby. On your arrrival, enjoy a pot of tea and a slice of home made cake, after which you may want to explore the farm or perhaps stroll down to the towpath of the Oxford Canal: you may be lucky to see hares and skylarks as you wander. 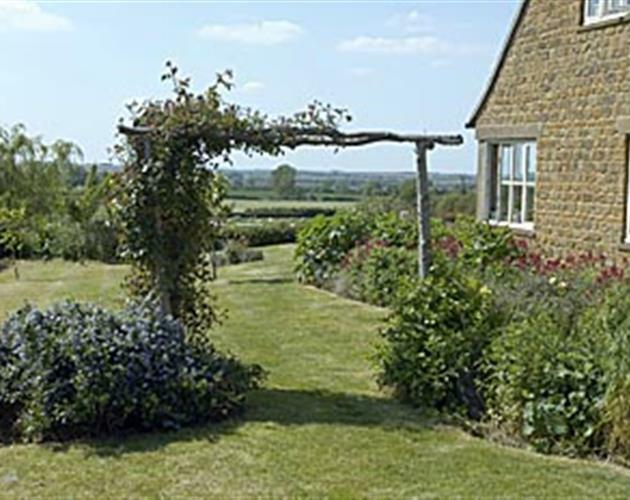 You may of course simply wish to relax in the garden then visit one of the local Village Pubs, including the well renowned restaurant "The Butchers Arms", for your evening meal, returning for a peaceful night's sleep.